Hello. I have taught many grades for over twenty years. I have MS in Special Education from Bank Street and earned National Board certification as an Early Childhood generalist, but I still learn a lot every year about how to teach school. I am returning to third grade which I loved teaching for 8 years at my previous school. I appreciate how children in this grade can handle so much content and are still so sweet. In my spare time, I like to sit around Brooklyn and see all of the people who live here. Ms. Lindsay taught Special Education (grades 3-5) in NYC’s District 75 for six years before joining PS261’s community in 2012. 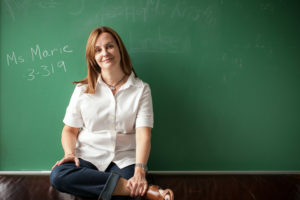 She earned a Bachelor’s in Psychology from Ithaca College and a Master’s in Education from Pace University. Ms. Lindsay views education as an opportunity to help young people develop problem-solving skills, confidence, and excitement for their academics and social interactions. She takes advantage of school holidays to travel and stays active in long-distance running, playing soccer, and practicing yoga. A native to Minnesota, Ms. Lindsay has lived in Cobble Hill for over 10 years. Clarisse first came to PS261 in the spring of 2012 to observe math instruction and knew right away that this was where she wanted to teach. She came back the following fall as a student teacher. She is excited to be a part of the PS261 community, and to be working with the third-grade team! In her free time, Clarisse enjoys reading nonfiction, sewing and spending time with her family and friends. This is Nichole’s seventh year at PS261. She loves watching children discover that there are no limits to their abilities and that they can accomplish their goals. She enjoys traveling to different countries with her family. 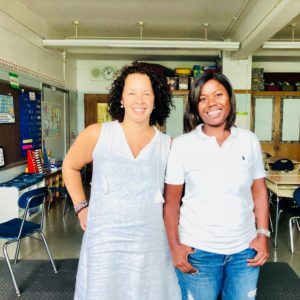 Ms. Marie has been teaching at PS261 since 2014. Marie earned a Master’s Degree in elementary education from Hunter College and has taught for 17 years in New York City public schools. She loves to read, write, travel and spend time with family, friends, and her new pup Molly. 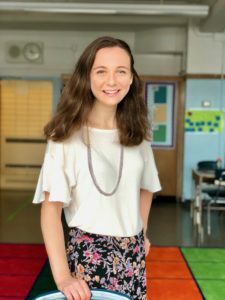 I was born and raised in Brooklyn, and I am excited to give back to my local community as I enter my first year at P.S. 261! I taught first grade for two years in the Bronx, and I received a masters in Curriculum Development from SUNY-Albany. I am passionate about inquiry-based learning across the content areas, as well as collaborative, interdisciplinary projects. I am a 200-hour certified yoga teacher and trained in techniques that promote student wellness. I am looking forward to building a strong, third-grade classroom community that empowers learners to feel empowered each and every day in their social, emotional, and academic based learning. Outside of teaching, I love reading, hiking, running, practicing yoga, and cooking.